Well, my time at Comic-Con is over for the year, but there were two good Peanutsy panels. The first one, covering Peanuts and NASA, I was possibly the last audience member allowed into the very full room. The panelists, including folks from the Schulz Museum, Creative Associates, NASA, and CollectSpace, had some great stories on the history of Peanuts involvement with NASA, including that it started before we all thought it had. Before there were official Snoopy usage involved, there was unofficial Snoopy, as one key team member, Ernie Reyes (if I heard correctly) was producing Snoopy cartoons, including in the astronauts “wrist list”, books that were attached to the wrist of the spacesuit so that they could be checked during operations on the Apollo 12 missin. Now that is a book that I want! But you want to know about the new projects. 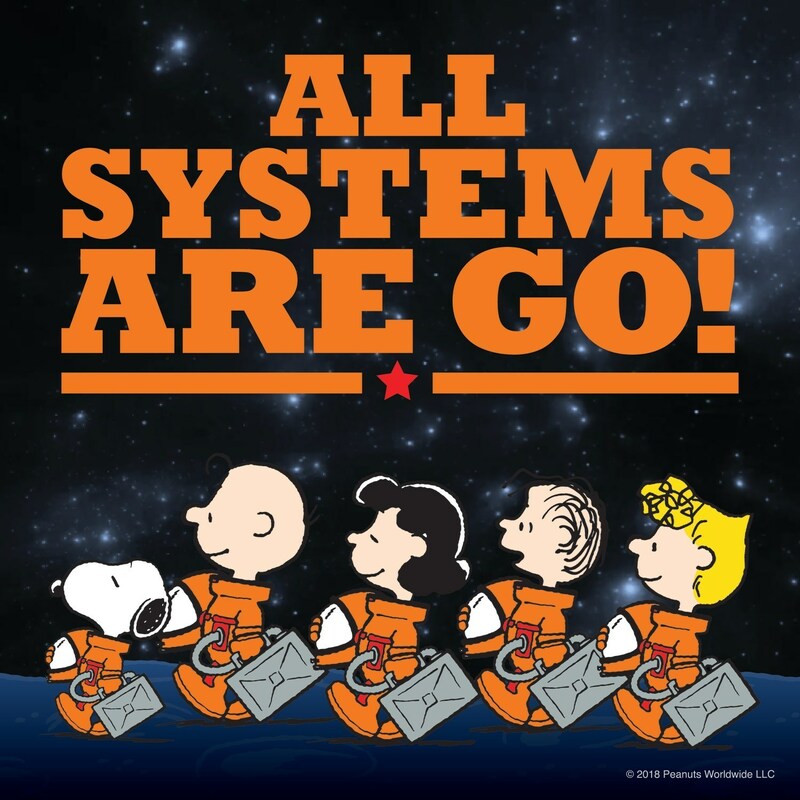 It seems that both NASA and the Peanuts folks had been looking at the upcoming 50th anniversary of their relationship and thinking that it might be a good time for fresh efforts. The plan is to build an educational program for STEM (Science, Technology, Engineering, and Mathematics), with new animation. 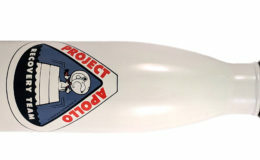 While they’re still working on the details, the working plan is for the Peanuts kids to be going to Mission Control on some sort of field trip, and Snoopy stows along… and somehow, when they get there, Snoopy gets chosen for a deep space mission. There will be five phases of this educational effort: the trip to Mission Control, the launch, Snoopy going to the moon, Snoopy on the International Space Station, and then the Deep Space mission with the Orion Spacecraft. To the excitement of all, they should a couple different test animation clips – not anything that will be used in the end result, but jsut trying to choose between animation styles. One was done in a render-y, Peanuts Movie style, the other was done in a more Melendezy flat animation style, but both were quite enjoyable. The panel polled the audience, and it was clear that the flat style was preferred… but there was some suggestion that they might try merging the flat character style with 3D-rendered backgrounds. We shall see. For the second panel, I was panelist rather than audience, and fun was had. It was just a look at various more-obscure Peanuts characters, your Thibaults, 5s, Tapioca Puddings. A bunch of funny panelists had funny, and at times insightful, things to say about them (craphic novelist Brian Fies had particularly good tales to tell on Molly Volley and Mr. Sack), and a good-size audience was there to appreciate it. The panel got its own unanticipated NASAy touch when Nichelle Nichols, a former NASA representative but better known for some star trekking she did herself, took a seat in the front row. I suspect she might have been there just to arrive early to be on the next panel… but perhaps, just perhaps, she was there to see us.